Small businesses based in the United States now have the chance to take their Twitter marketing efforts to a new level. Starting in late March 2012, Twitter introduced a new advertising offering that makes it simple for companies of any size to grow their businesses using Promoted Tweets and Promoted Accounts products. 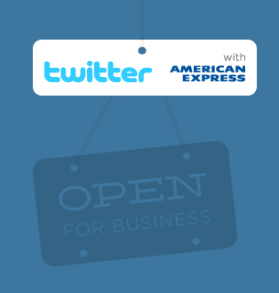 Twitter partnered with American Express to make it easy for small business owners to advertise on Twitter. American Express Cardmembers and merchants based in the U.S. were invited to try this new advertising solution before anyone else, and American Express gave $100 in free advertising to the first 10,000 eligible businesses to sign up. You're invited to Twitter Ads email. 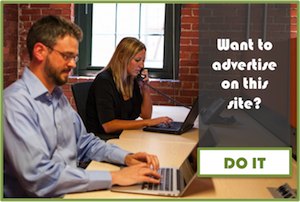 Here is an overview of Twitter Ads for small business owners. Clicking on email link gets you to the sign in page. The first step is to tell Twitter where your customers are located. The minimum bid for promoting your Twitter account is $0.50/click and the recommended maximum bid is $2.50/click. The minimum bid for promoting your tweets is $0.50/click and the recommended maximum bid is $1.50/click. These terms (the “Agreement”) are entered into by, as applicable, the individual or legal entity (“you”), that accepts this Agreement and Twitter, Inc. (“we” or “Twitter”). This Agreement governs your participation in the Twitter advertising program (the “Program”). You may place orders for Promoted Tweets, Promoted Accounts, and other forms of advertising in the Program that we make available from time to time (“Promoted Products”) via your online account. By doing so, you agree to the terms of this Agreement and any additional terms presented to you via the Program interface. If you do not agree to the terms of this Agreement, you cannot place orders in or otherwise participate in the Program. Revisions to this Agreement. Twitter reserves the right to revise this Agreement from time to time. When Twitter revises this Agreement, Twitter will present the revised terms to you for your acceptance. The terms in effect when you initiate or modify a Promoted Products campaign will govern your and Twitter’s rights and obligations in relation to such campaign. At any time, the current Promoted Products terms can be accessed via a link within the Program. The Program. Your participation in the Program is subject to your compliance with our policies as updated from time to time. These policies include Twitter’s Promoted Products Policy (https://twitter.com/adspolicy) and Trademark Guidelines (https://support.twitter.com/twittermarks) (the “Policies”). We may modify or cancel the Program, or modify the Policies at any time without liability to you or any third party in connection with such modification or cancellation. Please visit the links provided above to view the most current version of the Policies. Your use of the Program is subject to the version of the Policies applicable at the commencement of each advertising campaign run via the Program. The Program is available to you only in the United States, its territories, and possessions. You agree not to use or attempt to use the Program from outside these locations. Twitter may use technologies to verify your compliance with this restriction. Your Promoted Products. You are responsible for: (a) your Promoted Products, which will include content, information, and URLs, (b) interests, keywords, and other features made available to you from time to time to target Promoted Products (“Targets”), and (c) websites, landing pages, and advertised services and products to which your Promoted Products link or direct users (“Services”). You will protect your passwords appropriately and are responsible for access to your account by you and any third party. You agree to immediately notify Twitter of any security breach of your account. Twitter will not be responsible for any losses arising out of the unauthorized use of your account. Circulation of Promoted Products. We may place the Promoted Products, without restriction as to placement, on any content or property provided by Twitter or our partners and reference Promoted Products for our marketing and promotional purposes. For quality control and serving purposes for the benefit of Twitter users, we may use automated software to screen any websites and URLs included by you in a Promoted Product. 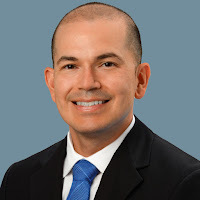 We may modify a Promoted Product to comply with the Policies or this Agreement, provided, such modifications will only be in the form of deleting a Promoted Product in its entirety, resizing, or reformatting solely in connection with the Program. Twitter or its third-party partners may reject or remove any Promoted Product, campaign or Target for any or no reason. You cannot modify Promoted Tweets that have been sent, but you can delete the underlying Tweet to avoid further promotion of that Tweet. Because we offer an open platform, we cannot guarantee that all our partners or users will delete any Promoted Product that you delete or that Promoted Products sent by SMS or certain forms of syndication will be deleted. We cannot guarantee impressions, conversions, clicks, Retweets, follows, replies, favorites, blocks or any other actions taken (collectively “User Actions”) with your Promoted Products. Termination. You may delete or cancel Promoted Products at any time via your account interface, provided, you will be responsible for fees for Promoted Products delivered prior to deletion or cancellation. Promoted Products will cease shortly after deletion or cancellation. If you breach, or Twitter suspects that you have breached, any provision of this Agreement, Twitter, in its sole discretion, without notice to you may: (i) terminate this Agreement and/or your account (and you will remain liable for all amounts due under your account up to and including the date of termination); and/or (ii) preclude access to the Program (or any part thereof). Restrictions. You will not, and will not authorize any party to: (a) generate automated, fraudulent or otherwise invalid User Actions (b) use any automated means or form of scraping or data extraction to access, query or otherwise collect information related to the Program from any website or property except as expressly permitted by us; or (c) advertise anything illegal or engage in any illegal or fraudulent business practice. You must have and grant to us and our partners any rights (including without limitation any copyright, trademark, patent, publicity or other rights) in your Promoted Products, Services and Targets needed for us and our partners to operate the Program. You represent and warrant that (y) all your information is complete, correct and current; and (z) your use of the Program and your Promoted Products, Targets, and Services do not and will not violate or encourage violation of any applicable laws, regulations, or code of conduct, nor infringe or misappropriate any third-party rights (including without limitation privacy and intellectual property rights). Violation of the foregoing may result in immediate termination or suspension of your account without notice and may subject you to legal penalties and consequences. Twitter has the right, but not the obligation, to monitor any materials submitted by you or otherwise available through the Program, to investigate any reported or apparent violation of this Agreement, and to take any action that Twitter in its sole discretion deems appropriate. Confidentiality. Much of the Program is confidential to Twitter, as further described herein. “Confidential Information” means any business or technical information related to Twitter, the technology used to provide the Twitter Service, and Twitter’s Promoted Products that is marked “confidential” or “proprietary” at the time of disclosure, or, by its nature or content is reasonably distinguishable as confidential or proprietary. The following shall be deemed Confidential Information, without limitation: the Twitter account interface and features, campaign management tools and user interface, analytics and activity dashboards, pricing, best practices materials, marketing collateral, onboarding materials and webinars, information on Twitter metrics and user demographics, and the terms of this Agreement. Confidential Information does not include information that: (a) is or becomes generally known to the public through no fault of or breach of this Agreement by you; (b) is rightfully known by you at the time of disclosure without an obligation of confidentiality; (c) is independently developed by you without use of the Confidential Information; or (d) you rightfully obtain from a third party without restriction on use or disclosure. You will not use the Confidential Information except as necessary for the performance of this Agreement and will not disclose such Confidential Information to any third party except to those employees and subcontractors that need to know such Confidential Information for the purpose of performing this Agreement, provided that each such employee and subcontractor is subject to a written agreement that includes binding use and disclosure restrictions that are at least as protective as those set forth herein. You will use all reasonable efforts to maintain the confidentiality of all such Confidential Information, but in no event less than the efforts that you ordinarily use with respect to your own proprietary information of similar nature and importance. The foregoing obligations will not restrict you from disclosing Confidential Information: (i) pursuant to the order or requirement of a court, administrative agency, or other governmental body, provided that you give reasonable notice to Twitter to contest such order or requirement; and (ii) on a confidential basis to your legal or financial advisors. You agree to hold Confidential Information in confidence during the Agreement and for a period of three (3) years from the date of termination. Disclaimer and Limitation of Liability. To the fullest extent permitted by law, WE DISCLAIM ALL WARRANTIES, EXPRESS OR IMPLIED, INCLUDING WITHOUT LIMITATION FOR NONINFRINGEMENT, SATISFACTORY QUALITY, MERCHANTABILITY AND FITNESS FOR ANY PURPOSE. To the fullest extent permitted by law, we disclaim all guarantees regarding positioning, levels, quality, or timing of: (i) costs per click; (ii) click through rates; (iii) availability and delivery of any impressions, Promoted Products, or Targets on any Twitter or partner property; (iv) any User Actions; (v) conversions or other results for any Promoted Products or Targets; (vi) the accuracy of data; and (vii) the adjacency or placement of Promoted Products within the Program. Your exclusive remedy, and our exclusive liability, for suspected invalid User Actions is to make a claim for a refund in the form of Promoted Products credits within the time period required under Section 10 below. Any refunds for suspected invalid User Actions are within our sole discretion. EXCEPT FOR INDEMNIFICATION OBLIGATIONS HEREUNDER AND YOUR BREACH OF SECTION 7 (CONFIDENTIALITY), TO THE FULLEST EXTENT PERMITTED BY LAW: (a) NEITHER OF US WILL BE LIABLE FOR ANY CONSEQUENTIAL, SPECIAL, INDIRECT, EXEMPLARY, OR PUNITIVE DAMAGES (INCLUDING WITHOUT LIMITATION LOSS OF PROFITS, REVENUE, INTEREST, GOODWILL, LOSS OR CORRUPTION OF DATA OR FOR ANY LOSS OR INTERRUPTION TO YOUR BUSINESS) WHETHER IN CONTRACT, TORT (INCLUDING WITHOUT LIMITATION NEGLIGENCE) OR ANY OTHER LEGAL THEORY, EVEN IF ADVISED OF THE POSSIBILITY OF SUCH DAMAGES AND NOTWITHSTANDING ANY FAILURE OF ESSENTIAL PURPOSE OF ANY LIMITED REMEDY; AND (b) EACH OF THE PARTIES’ LIABILITY TO THE OTHER IS LIMITED TO AMOUNTS PAID OR PAYABLE TO US BY YOU FOR THE PROMOTED PRODUCT GIVING RISE TO THE CLAIM. Except for payment obligations, neither of us are liable for failure or delay resulting from a condition beyond each of our reasonable control, including without limitation to acts of God, government, terrorism, natural disaster, labor conditions and power failures. Agencies. If you are an agency representing an advertiser, you agree (a) that you are authorized to act on behalf of and have bound the advertiser to this Agreement, (b) to secure and maintain all rights from the advertiser needed to enter into this Agreement, and (c) you will not disclose the advertiser’s Program information to any other party without the advertiser’s consent. Payment. You will be responsible for all charges up to the amount of each campaign set in your online account and will pay all charges in USD. All sales are final. We accept payment by credit card and reserve the right to change the credit cards we accept at any time. Twitter may obtain preapproval for an amount based on your projected budget. When you specify a payment source to us, you confirm that you are (a) permitted to use that payment source; (b) authorize us to collect and store it, solely as needed to complete the transaction; and (c) authorize Twitter to charge the full amounts due to that payment source. If you want to designate a different credit card or if there is a change in your credit card, you must change your information online in the account information section of the Program; this may temporarily disrupt your access to the Program while Twitter verifies your new payment information. We will bill your payment source periodically as your Promoted Products incur charges. If a payment by you results in additional fees from your financial institution, such as overage fees, you agree to be solely responsible for such fees. In the event your payment method fails, we may take steps to collect past due amounts. You are responsible for paying any reasonable expenses and attorneys fees we incur for collecting late amounts. To the fullest extent permitted by law, you waive all claims relating to charges unless claimed within 60 days after the charge (this does not affect your credit card issuer rights). Charges are solely based on our measurements for the Program. To the fullest extent permitted by law, refunds (if any) are at Twitter’s discretion and only in the form of advertising credit for the Program. We are not obligated to extend credit to you. You allow us to share your credit card and related billing and payment information with companies who work on our behalf, such as payment processors, collection agencies, and credit agencies, solely for the purposes of checking credit, effecting payment and servicing your account. We may also provide information in response to valid legal process, such as subpoenas, search warrants and court orders, or to establish or exercise our legal rights or defend against legal claims. If you are under the age of 18, your parent or guardian must accept these terms and make payments on your behalf. The Program is not available to users under the age of 13. Credits. To the extent you have received free advertising credits for the Program, you will be charged automatically for any Promoted Products charges beyond the credit amount. Credits cannot be combined with other offers, nor transferred or sold. Credits are not redeemable for cash. Any refunds for credits spent in the Program will be solely in the form of additional advertising credits. All unused credits (or remaining portion of credits) will expire at 11:59 PM PST on December 31, 2012, unless otherwise specified in the offer terms for the credits. Indemnification. You will indemnify and defend us, our partners, agents, affiliates, and licensors from any third-party claim or liability, arising out of your Promoted Products, Targets or Services; our use of your Promoted Products, Targets or Services for the Program; your use of the Program; and your breach of this Agreement. Miscellaneous. This Agreement will be governed by California law except for its conflicts of laws principles. All claims arising out of or relating to this Agreement or the Program will be litigated exclusively in the federal or state courts of San Francisco County, California, USA, and you consent to personal jurisdiction in those courts. This Agreement (which includes any additional rights or obligations contained in the Program interface) constitutes the entire and exclusive agreement between us with respect to the subject matter hereof, and supersedes and replaces any other statements on the same subject matter. In no event shall any additional or conflicting terms tendered by you under a purchase order or other document have any effect. A waiver of any default is not a waiver of any other default. Unenforceable provisions will be modified only to the extent necessary to make them enforceable, and remaining provisions of this Agreement will remain in full effect. You will not assign any of your rights hereunder. Twitter retains the right to assign its rights and delegate its duties under this Agreement. We are not legal partners or agents of each other, but are independent contractors. In the event that this Agreement or the Program(s) expire or are terminated, we are not obligated to return any materials to you. Notice to you may be provided by sending an email to the email address specified in your account, or by posting a message to your account interface, and is deemed received when sent (for email) or no more than 15 days after having been posted (for messages in your account interface). The headings of the sections of this Agreement are for convenience only and will not be of any effect in construing the meanings of the sections.